During a civil emergency or natural disaster, demands on local communication systems increase dramatically as disaster response agencies swing into action to deal with the emergency and the general public try to locate family and friends. Most of us will agree that Police, Fire And Rescue Department, Civil Defence and others have their own communication system. Yes, we also agree that government have spend millions of ringgit to build telecommunication system for all these agencies . But one question where does all this build? The systems were build at the city or town area. 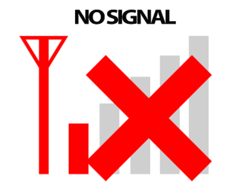 Communication systems, driven by economic constraints, are built to handle “normal” every day traffic and do not respond well to the increased traffic generated by an emergency. Says for instance no one will build a cellular network in the jungle … if they build who’s going to use it? 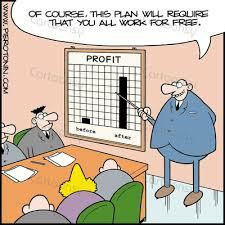 Is uneconomical to build a network in that area. 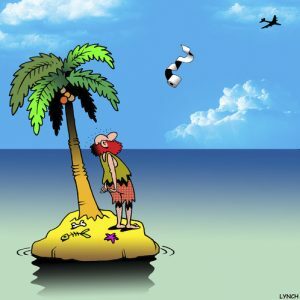 So what happen if someone missing in the jungle or one commercial aircraft crashed into that area? Talking about cell phone. Cell phones become overloaded almost immediately, followed quickly by the telephone system. Other forms of communications will also become overloaded including repeaters for city employee handheld radios and dispatch systems. To make matters worse, critically needed communication resources can be severely damaged or destroyed by a natural disaster. Consequently, today money is by and large being spent on cell phones instead of other communication services that could have provided some degree of backup during an emergency. With cell phone demand growing so rapidly, there just is not much spare capacity in the cell phone system. This means that when an emergency hits, the cell phone system is going to go down hard, and with it the ability of governments, business, and the general public to communicate. One good example during the Plane Crashed in Mantin Negeri Sembilan in Feb 1997 there is no repeater coverage for the search and rescue team and there is no cellphone service at the incident area…. Again in 15 March 2004 ! there is another plane crashed at Genting Bidai… which involve commercial light aircraft Piper 28 which crashed into Genting Bidai also there is no repeater coverage for the search and rescue team and there is no cellular coverage at the incident area… Amateur Radio Emergency Service was called by one of the Search And Rescue Agency to assist them to setup Emergency Communications. 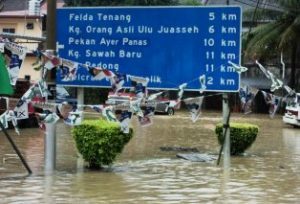 19 December 2006 Segamat Flood Disaster. Most of us knows that Segamat is a small town there is a civil defence office but unfortunately there is no radio communication system for Civil Defence at that area. Amateur Radio Emergency Service was called by the civil defence to assist them to setup Emergency Communication. A group of Amateur Radio Emergency Service setup their system at “Bilik Gerakan Banjir IPD (Ibu Pejabat Polis Daerah Segamat)” and one more station was setup at Bilik Gerakan Banjir JPA3 and with the help of a few 4×4 group and Jetski equip with Radio and local civil defence we manage to save some peoples who trap in the village and also we manage to relay to Bilik Gerakan Banjir IPD that there are a few places need foods… some of the victims were trap and out of food for 48 to 72 hrs! !…this was not publish anywhere…. there are a few incident where by amateur radio operators help to coordinate with SAR team to move the flood victims from their area to the safe place and at one time we also help to RESCUE the search and rescue team! Same things goes to our recent mission at Paloh Hinai Pahang December 2007. 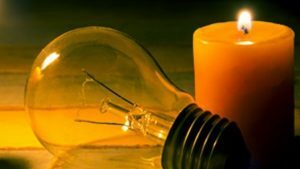 There is no electricity at that incident area ….. we use batteries and genset. Some hams help the civil defence in Pekan to setup repeater and so on. Due to some reason we cant’ publish everything here. 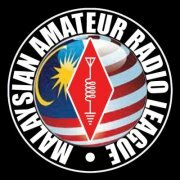 Why some incident like the training aircraft pilatus owns by the Malaysian AIR FORCE was crashed in the North, the Amateur Radio Emergency Service was not welcome by the Military. 1. Any plane crashed which involve military aircraft, no civilian are allow to enter at the incident area including Fire And Rescue Dept. and Civil Defence. Unless it was instructed by the PM and DPM as what happen a few month back when one Nuri Crashed into Janda Baik area which took them a few days to locate the chopper. In most cases, 99.99% no one from civilian are allow to enter at the incident area which involve army aircraft. 2. The place was very easy to access and no communication problems. 3. The location is very near to the city/town area. And Search and Rescue team easy to access and there is no problem with their communication system. 4. The magnitude of the disaster area is very small. Most of the amateur radio who involve in disaster communication with other search and rescue agencies during disaster will understand why we are needed during disaster. Even most of the Search And Rescue agencies also understand the needs of disaster communication. Sorry to said those who don’t have experience in providing emergency communications during disaster will think different ways… the reason is they don’t have experienced and knowledge on disaster communications. It will become a disaster to amateur community if someone tried to write something and published somewhere which they don’t really knows and understand what is disaster communication and assume that everything is ok so we are not needed. We don’t blame them because they look in different angle they think that most of the Search And Rescue team have their own communication system. They don’t know that the present communication system is not suitable during disaster as what the writer explain earlier. Disaster communication is not just by reading and listening to what people said most important things is get involve and than you know what is going on… we can offer a lot of things…by doing so than we can write and give opinions on what we have seen and experienced during the incident…/disaster. There are a lot of things we learn during disaster and most of the disaster are different from one another. 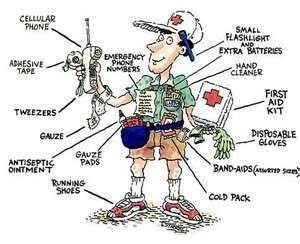 There are so many things that amateur may help during disaster don’t limit ourself on Emergency Communications only. Amateur radio operators, acting through the ARES programs, are able to help city, county, state, and disaster relief agencies by providing radio communication training classes before an emergency hits, in addition to providing supplemental and backup communication resources during emergencies. In the process amateur radio operators help to minimize the loss of life, reduce pain and suffering, and minimize the loss of property. With the increasing reliance on cell phones, amateur radio emergency communication services are even more important than in the past. Why Ham Radio is valuable during emergencies? Amateur Radio has several advantages during emergencies Radio transmission can be heard by unlimited number of receiver so information intended for a group can be sent quickly. A large reserve of experienced hams each with their own radios can quickly establish supplementary communication networks on the hams frequencies. Ham operators can prove a common link for agencies who normally operate as dispatch frequencies. A large number of ham frequencies allow a large number of separate information channels. Ham radios operate on batteries and genset so they can operate for most field locations or when lost of power from Tenaga Nasional Bhd. (TNB) (This have been proven during our mission at Segamat Dec 2006 and also most recent one at Paloh Hinai Pekan 15 Dec 2007 where there is no electric supply at the flood area) Information can also be sent in digital form when privacy or volume are a concern. Hams go where no engineer has gone before. Volunteer are like UNPAID employee…..
We are there to help solve their communication problems and do what ever we can, within reason. 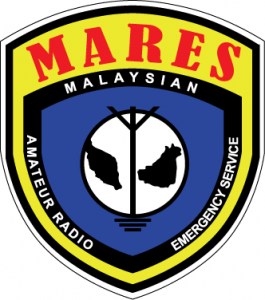 For information The London and Middlesex County emergency planning committees have acknowledged the important role played by amateur radio operators during disasters and have incorporated ARES (Amateur Radio Emergency Service) into their Emergency Response Plan. In the United States the Federal Emergency Management Agency (FEMA) provide support to State and Local Governments in fulfillment of their responsibilities for preparedness, response, recovery and mitigation of disaster. One method FEMA has used to support state and local emergency communication functions was giving full support to the Amateur Radio Emergency Service operators to provide electronic communications for state and local governments in disaster. Amateur Radio is a scarce resource – despite having thousands of hams, many are too old to respond, many are physically unfit to respond, many only want to do CW or contesting or DXing and have never participated in any emergency/disaster relief mission. If you expect 100 hams, you will get 10. Don’t wait to be called. Even if you are told not to respond, you can still prepare your group and monitor the situation. It is better to ramp up fast and then stand down rather than to wait until being called and working from a catch-up position. Every post disaster lessons learned review includes emergency services saying they should have ramped up earlier, instead of trying to play catch up. As we work to understand and to meet today’s emergency communication needs. We also must think about the future of Emergency communications. Lets be open to the possibilities and alert to the opportunities and most important try to help during disaster and participate in Disaster Relief Mission rather than giving some negative ideas. If you have extra rig, power supply antenna.. and etc why don’t we lend to those people involve in disaster relief mission. The writer have hands on experienced during disaster such as highland tower tragedy, plane crashed in Mantin N. Sembilan, Plane crashed in Genting Bidai, Flood in Kuantan, Segamat, Batu Pahat, Pekan, Temerloh , during Tsunami in Banda Aceh and also Landslide at Bukit Antarabangsa Dec 2008.